Freshly milled white wheat flour (with the bran and germ removed) is slightly yellow in colour because it contains carotenoids. It is never white. To make it completely white, a chemical called benzoyl peroxide, or acetone peroxide is used to bleach the slightly yellow natural flour to white. Bleached flour has a softer texture which results in tender baked goods. Bleached flour is usually labelled as white flour. The label never says bleached white flour. Bleached flour is banned in Europe and Australia. (Nigella.com). So if you live in Europe or Australia, this post is probably irrelevant for you. How do you know the flour is bleached? 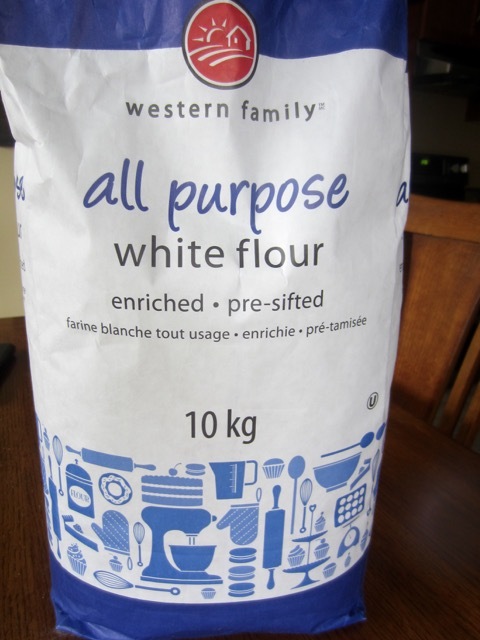 Most bleached flours are not labelled as ‘bleached flour’. 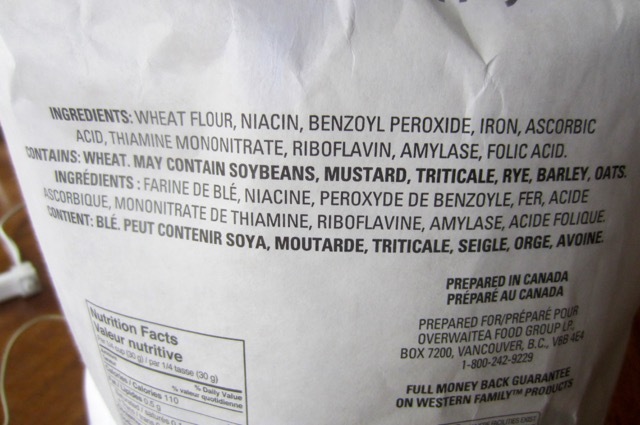 They are just labelled as “white all-purpose flour” or ‘white Bread Flour‘ or white cake flour, and the chemical benzoyl peroxide or acetone peroxide is listed in the ingredients list. When you see either of these ingredients listed, then you know the flour has been bleached using a chemical. What does enriched flour mean? Most of the nutrients and fibre in the wheat kernel (grain) are found in the germ and bran layer of the grain. To produce white flour, the bran and the germ layer must be stripped off. This means that the twenty-two vitamins and minerals are decreased including the dietary fibre. (The Wellness Encyclopedia of Food and Nutrition). Some states or governments require that white flour be enriched with iron and B-vitamins thiamin (B1), riboflavin (B2), folic acid (B9) and niacin (B3) (Some manufacturers also add calcium and vitamin D. If the flour is enriched, the label will say “enriched“.